With this qualification you become a scuba diver - once you have completed the course you'll have the license to let you Dive! That's up to you - with us at ProScuba our courses are running continuously. This means we can individually provide a course to suit you. Flexibility and close guidance with personal service is our key. We don't do mass courses! Simple - you complete knowledge development at home with your manual and a DVD. Your instructor will then ask you to complete 5 quizzes to check understanding. Then it's off to a local swimming pool to learn how to dive and develop your skills. This is the safer place to master and practice before going out into open water. There are five modules to complete during these sessions. Now to the open water. This can be the sea or an inland lake or quarry. 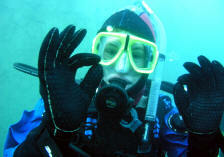 You will need 2 days to complete at least 4 dives. 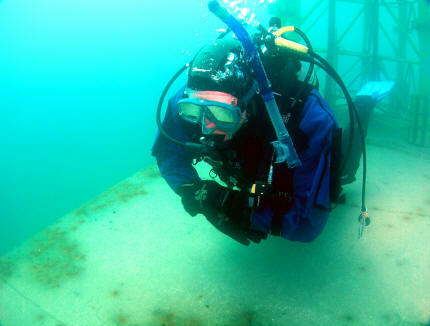 As part of these dives you will be demonstrate that you can be a diver and handle any problems underwater. Once all this is completed - your instructor will award the prestigious PADI Open Water Diver Certification. Our normal cost of a course is �425. Don't forget all our courses are tailored and flexible to suit individuals needs. Remedial teaching or extra sessions may be charged for. 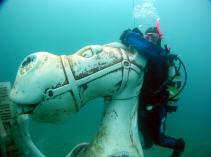 In this you will receive a PADI course manual, DVD, eRDP, certification at the end of the course and use of equipment. Give us a ring - talk to us, tell us what you want and how and when you want to do it. We normally suggest a pool session to come play first - you then meet us and we can sit down and talk details.